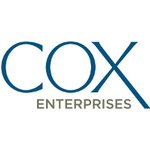 Key activities of the Regional Sales Manager will include planning strategy with both the vAuto and Cox Automotive business units force to qualify and target prospective customers. They will pursue leads, develop informational presentations and demos for Dealers and the Sales force, conduct informal training, and partner with the vAuto and the Cox Automotive business unit force on targeted sales calls. The Regional Sales Manager will manage their sales activities, develop and submit monthly forecasts, utilize customer relationship management (CRM) software and conduct market research to reach goal attainment. The Regional Sales Manager will strategize with the Sales force on positioning the product while assisting in developing new ideas based on an industry data and needs in the market. They will report to the Director of Sales and work closely with local sales management. Regional Sales Manager must possess business and sales ability with a strong understanding of the market and its needs. Develop customer relationships with new and existing dealers. Help establish cross business unit collaboration amongst the Cox Automotive sales organization. Participating in setting appointments for reps in the field. Develop and deliver informational presentations and demos; participate on targeted sales calls; facilitate and coordinate the delivery of information supporting the product. Introduce vAuto products to the Cox Automotive business unit sales force trough informal and in field training. Facilitate weekly meetings with dealer customers. Partner with Senior and local management, and local Sales team to review dealer lists and proposed strategy to attract and qualify business. Develop quarterly action plans with management to grow revenue. Assist in developing new ideas based on an industry data of needs in the market. Proven and demonstrated ability to organize, plan and execute a sales strategy to include managing personal schedule and travel. Demonstrated proficiency and knowledge in various technologies required. Demonstrated ability to represent vAuto to the automotive industry and model Company values by creating a positive impression of the company. Experience utilizing CRM technology strongly preferred. Proven experience of achieving and exceeding personal sales goals, coaching sales team members/peers to deliver outstanding sales results, value proposition, customer satisfaction, and long-term revenue growth strongly preferred.